This is not a podcast about horses or the TV show (sorry). 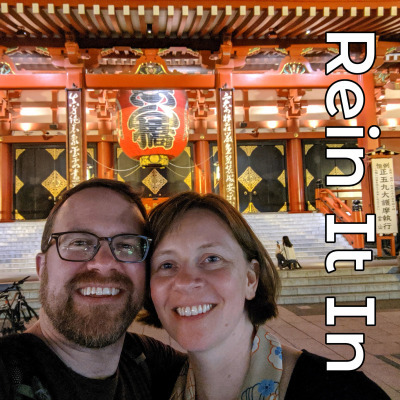 This is a podcast created by two nerds in an attempt to better document our upcoming trip to Japan in a light weight manner (hopefully). We generally eat and drink our way through life with stops for art, books, music, and (too often) work - but we sometimes need to remind ourselves to rein it in. Check out photos out on Instagram at https://www.instagram.com/reinitin_podcast/ as well. Hope you enjoy and please leave a comment!